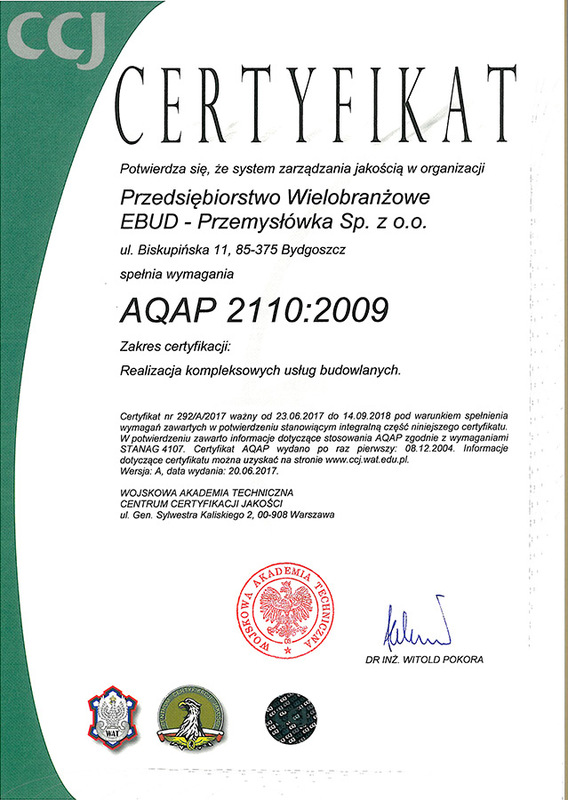 Achievements – Ebud Przemysłówka Sp. z o.o. 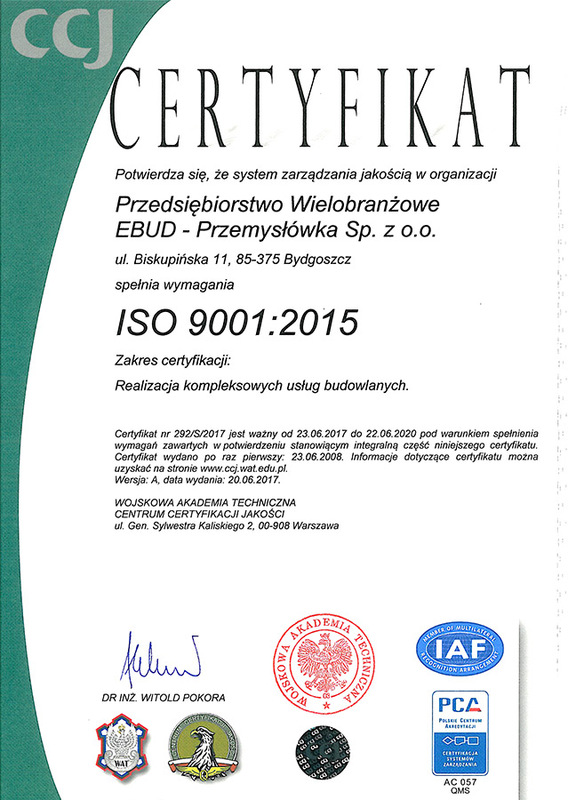 Multi-business company „EBUD” – Przemysłówka Sp. z o.o. is a dependable and built on stable basis company. It is a holder of a well-shaped Mission, Vision, and Developmental Strategy. Being active since 1991 we have gained skills on numerous building sites in our country and abroad. Many a time our good and experienced team has been appreciated and awarded for its professionalism and quality of work. 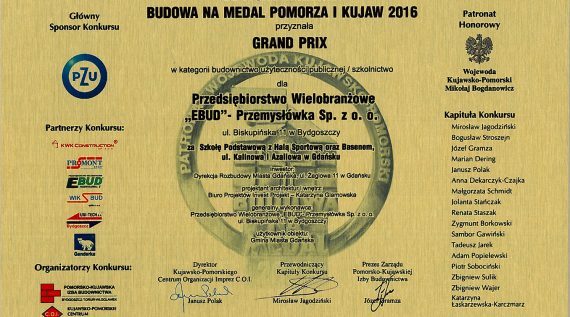 The Jury of the Competition: MEDAL BUILDING of Pomorze and Kujawy 2016 awarded the Company GRAND PRIX for „Primary School with Sports Hall, and Swimming, Kalinowa and Azaliowa street in Gdańsk. 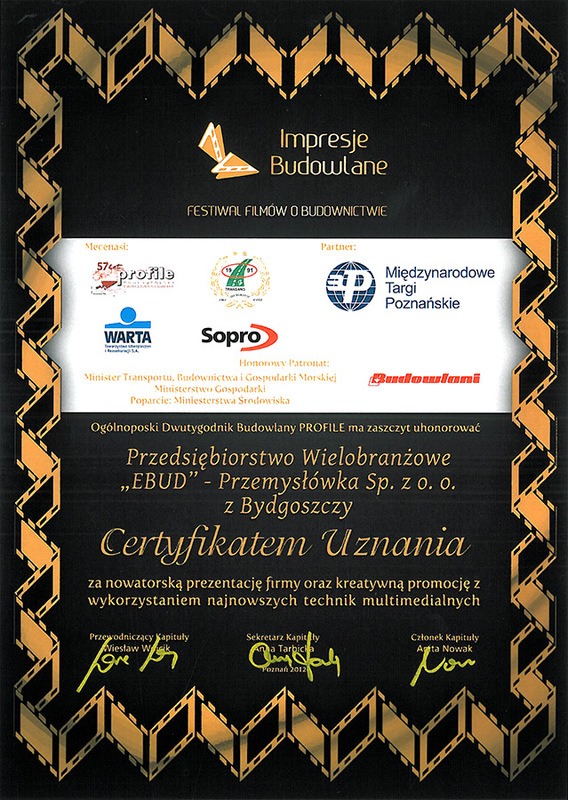 The Jury of the Competition: Site Manager 2014 by the Polish Association of Construction Employers at the meeting held on 30th September, 2014 decided to award the Certificate of Finalist of the Competition: Site Manager 2014 in the category of Small construction to Mr Grzegorz Lora. Our Congratulations! P.W. 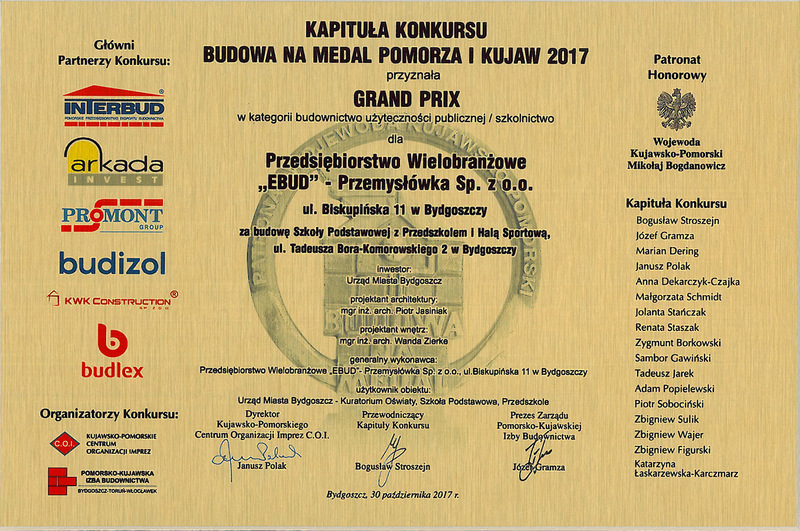 „EBUD” – Przemysłówka Sp. z o.o. 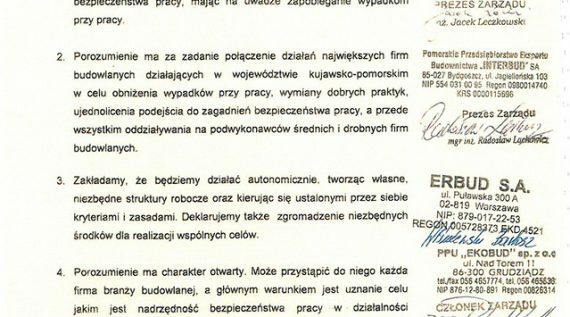 signed in 2014, together with other companies, the Declaration on the Agreement for Occupation Health in Building Industry. The Construction „the Stefan Jaracz Theatre in Olsztyn revitalization”: won the first place in the category „Modernized and Revitalized Building Objects” in the competition”BUILDING OF A YEAR 2014” organized by Chamber of Construction in Olsztyn under the auspices of Warmińsko-Mazurskie Voivodeship. P.W. 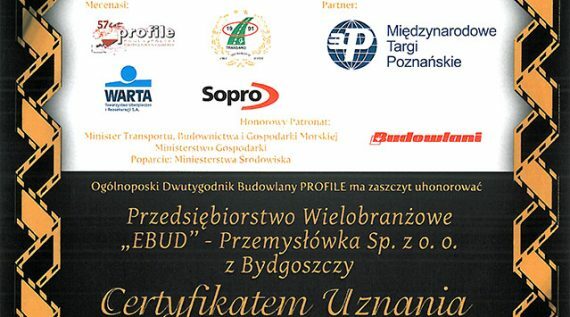 „EBUD” – Przemysłówka Sp. z o.o. was awarded Hereditas Saeculorum medal for special achievements related to renovation and renewal of monuments, for restoration works at complex of buildings of Las Gdański water supply station at 242 Gdańska street, and for the works at Water Tower 1 Filarecka street in Bydgoszcz. 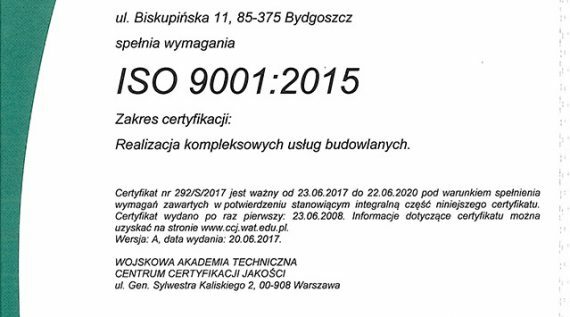 The Certificate of Finalist of the Competition: Site Manager 2013 was granted by the Polish Association of Employers in Warsaw to Mr Marek Zajaczkowski. A prize in a competition: BUILDING OBJECT OF THE YEAR 2011 – 2012 was granted to the Jogh Paul II THE CENTRE OF DIALOGUE in Toruń. 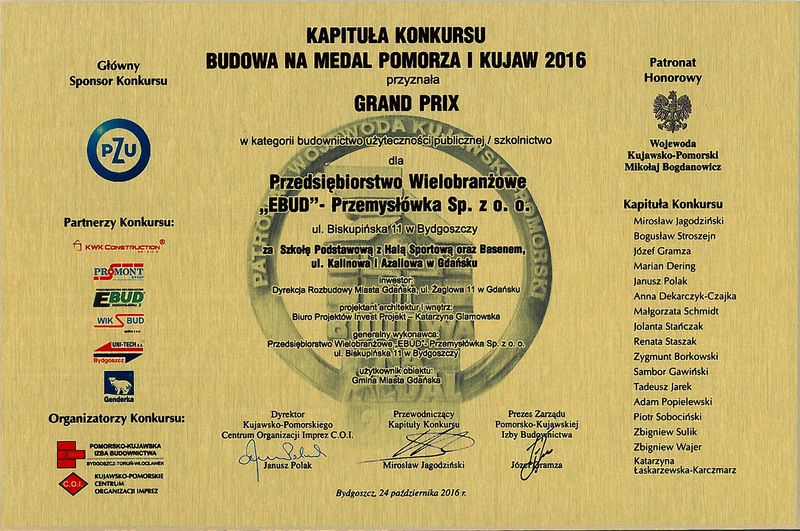 GRAND PRIX awarded by the Jury of the competition MEDAL BUILDING of Pomorze and Kujawy IN 2013. 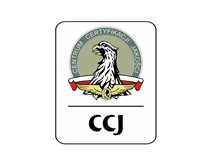 A prize in Forbes’ Diamonds ranking in 2010 in the category of companies with the income level 50 – 200 mln PLN in kujawsko-pomorskie province. 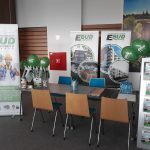 The statuette and title of „ Employer of the year 2008 in Building Industry” was awarded to the President of the Board Mr Andrzej Wosik especially for high quality presented in modernization and renewal of monumental buildings. 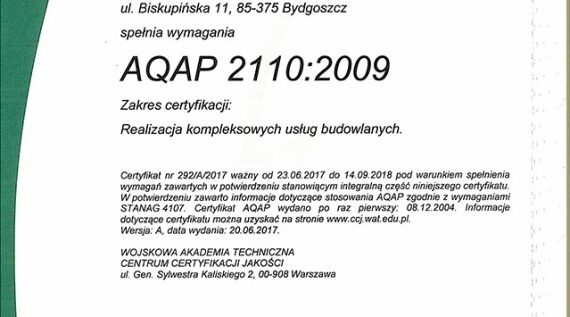 A prize of Gazeta Prawna in „TIME MACHINES ranking in Kujawsko-Pomorskie voivodeship. Business Cheetahs 2007 Elite Club assignment certificate – the circle of the most dynamic developing companies. 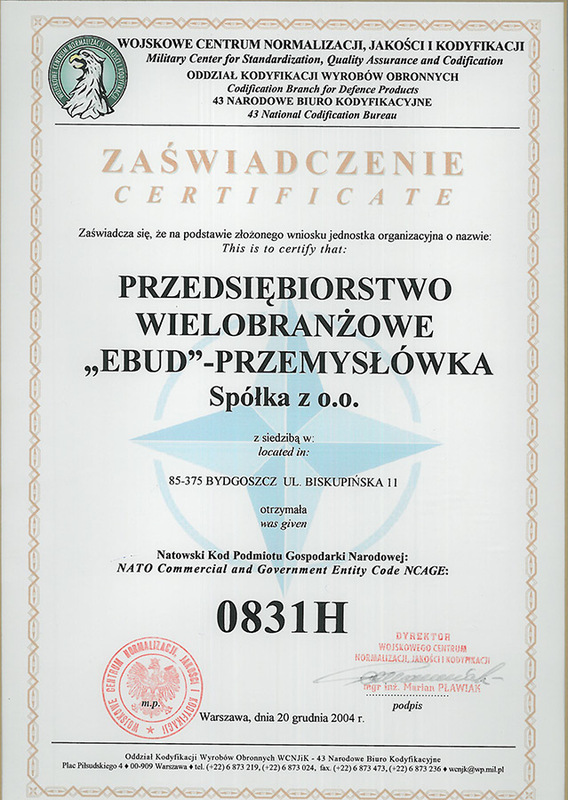 EBUD company has been a member of the club since 2002. 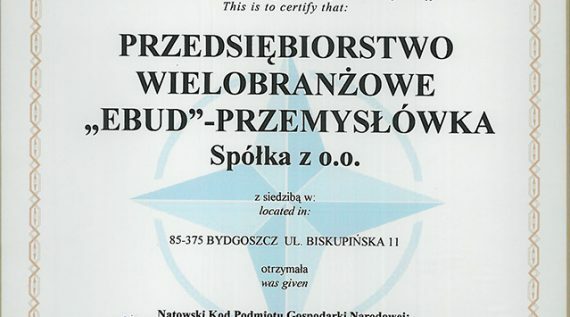 Badge of honour for the contributions to Kujawsko-Pomorskie Voivodeship awarded by the regional council of Kujawsko-Pomorskie Voivodeship in 2006. The Kazimierz Wielki Medal for contributions to Bydgoszcz City awarded by Bydgoszcz City Council in 2005. 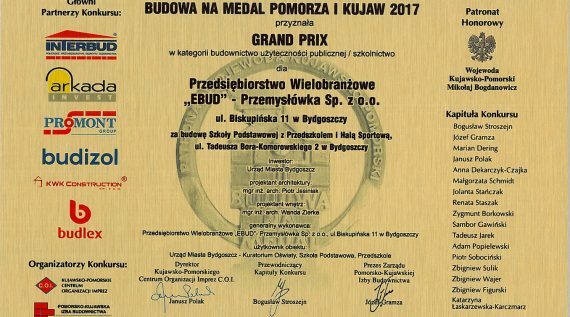 „The Medal of The President of Bydgoszcz City” for contributions to Bydgoszcz City in 2002. The title of MODERNIZATION OF THE YEAR 2002 in the category „The most interesting building interior” for the restoration and modernization of Self-government Administration Building at Jana Kazimierza street in Bydgoszcz. The European Medal 2002 for building and assembly services of public utility facilities. The title of „Building interior of the year of Pomorze and Kujawy 2001” in the category: building interior in new building objects – office and public utility facilities interiors for the Auditorium of Opera NOVA.